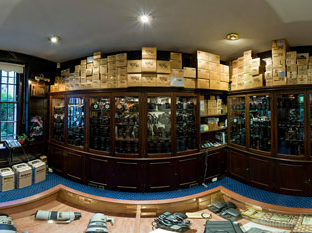 This photograph taken with the 6mm f/2.8 Fisheye-Nikkor lens by Michael Eleftheriades is of one of the showrooms at Grays of Westminster. 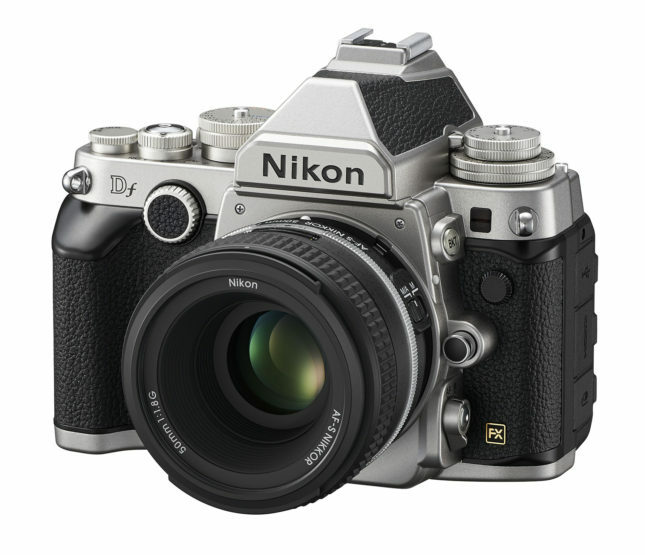 London, UK – Nikon today announces the Df, a new D-SLR dedicated to pure photography that boast looks inspired by Nikon’s iconic 35mm film cameras and technology from the latest professional models. 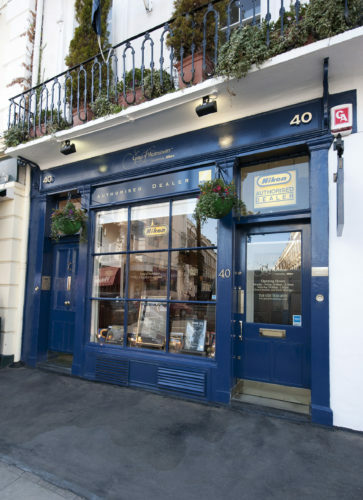 The Df expresses a passion for photography in both form and function. 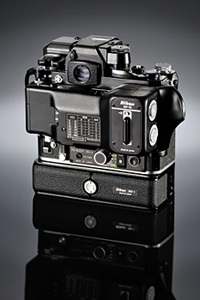 Sitting proudly in a class of its own, this retro-style camera paints a unique picture against the uniformity of modern-day D-SLRs. Equipped with the same image sensor as Nikon’s flagship D4, it offers uncompromised dynamic range and phenomenal light sensitivity. The Nikon Df is the lightest of Nikon’s current FX-format models, yet features the durable build and reliable operation that you’d expect from a high-end Nikon camera. Perfect for camera purists and design aficionados alike, the Nikon Df is set to capture the hearts and minds of photographers who are as passionate about their camera as they are about their art. “The concept for this camera was based on the emotion of photography and will appeal to passionate photographers who enjoy pure photography and cherish their cameras, as well as their images, old and new. At the heart of the Df is the same 16.2-megapixel FX-format CMOS sensor and EXPEED 3 image processor found in Nikon’s professional flagship camera, the D4. Such a powerful combination of professional grade technology ensures the Df delivers superior image integrity under a broad range of lighting conditions. Photographs boast faithful, well-saturated colour and natural depth, even when shooting at the high end of the ISO range, which extends to a phenomenal ISO 204,800 (equivalent). 16.2-megapixel FX-format (full-frame) CMOS sensor: Thanks to an optimised balance between the size of the FX-format sensor (36.0×23.9 mm) and an effective pixel count of 16.2 million pixels, the Df delivers images with stunning depth and detail, low noise, and wide dynamic range. 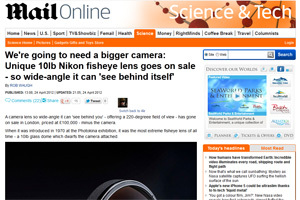 Superb light sensitivity: With ISO 100–12,800, extendable up to 204,800 (equivalent), the Df retains Nikon’s status as the sovereign of low-light shooting. Finely detailed images with minimal noise are possible even when you shoot under challenging lighting conditions. EXPEED 3: From image processing to transfer, Nikon’s image-processing engine makes light work of data-rich tasks without sacrificing speed and quality. The 16-bit image processing offers optimal colour, perfect tonality, and minimised noise throughout the frame, delivering smooth gradations with abundant detail and tone all the way up the scale to pure white, even when shooting in JPEG. In addition, the powerful EXPEED 3 is fast, accurate, and exceptionally energy efficient, prolonging the camera’s ability to endure extended shooting. Fast performance: Start-up time is approximately 0.14 s* and the shutter-release time lag is just 0.052 s* . High-speed continuous shooting is available at up to 5.5 fps in both FX and DX formats. 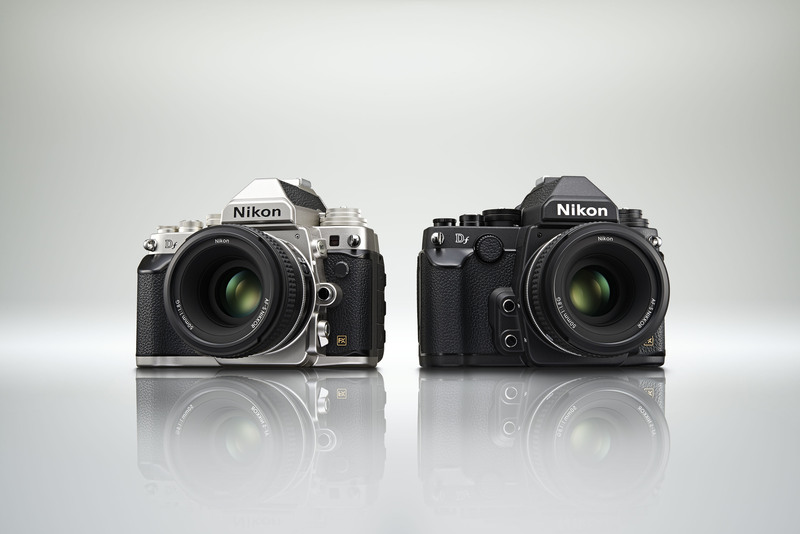 The Nikon Df may incorporate looks from Nikon’s iconic 35mm film SLRs, but it’s built to handle the demands of modern digital photographers. When you’re passionate about photography, you know that taking the picture is as rewarding as enjoying the final images, and the Df boasts the kind of rugged build and superior ergonomics that has made the Nikon name synonymous with durability and reliability. Crafted to respond perfectly to your command, this camera will delight the senses of any photographer who’s passionate about still images—and cameras. Elegant mechanical dials: Comfort meets control with knurled mechanical dials that make operation simple and secure. The dials let you set ISO sensitivity, exposure compensation, exposure mode, and release mode independently, enabling you to access all parameters relevant to still photography without using the camera’s menu. Full-frame portability: Experience the creative thrill of FX-format photography wherever you go, thanks to a compact body that weighs approximately 710 g without the battery. Built to withstand severe conditions, the camera features tough yet lightweight magnesium alloy top, bottom, and rear covers, and is weather-sealed to the same degree as Nikon’s D800 D-SLR for enhanced resistance to moisture and dust. Durable shutter unit: The highly accurate shutter unit has been tested to 150,000 cycles, with a maximum shutter speed of 1/4,000 s and flash synchronisation at up to 1/200 s.
Energy-saving design: Achieves approximately 1,400 shots* (when using the EN-EL14a battery, in single-frame mode). Classic details: The Df body comes in classic black, or silver with black highlights. 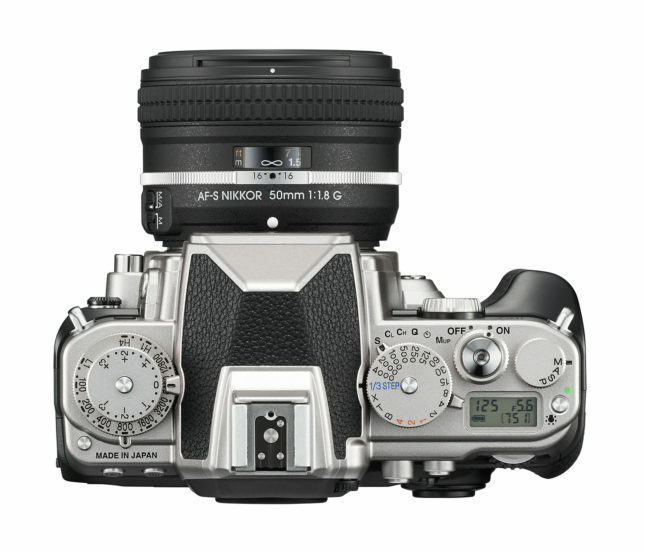 The textured grip, mechanical dials, and flat top-panel hark back to Nikon’s iconic silver-halide film SLR cameras such as the F2 and F3, and the GUI boasts an original monotone colour. Taking its dedication to pure photography a step further than any other D-SLR on the market today, the Df boasts a unique collapsible metering coupling lever that enables even vintage non-AI NIKKOR lenses to be attached directly to the camera. Nikon’s lenses are renowned the world over for their optical superiority, and NIKKOR celebrates its 80th anniversary this year. Photographers using the original F-mount NIKKOR lenses broke boundaries, and those same lenses remain well-loved by many today. But it’s never been possible to use them easily with a modern D-SLR, until now. When shooting with a non-AI lens in A (Aperture Priority) or M (Manual) mode, the Df allows full-aperture metering—equivalent to that of AI lenses. Lens characteristics such as focal length and the widest aperture setting can be easily defined via simple camera settings, enabling the camera to recognise the aperture setting and calculate correct exposure. The Df’s wealth of cutting-edge image technology ensures still images of the highest possible integrity. Working alongside its formidable image sensor and processing engine, the camera’s highly sensitive AF system and 5.5 frames-per-second frame rate allow even the most unexpected photographic situations to be captured with outstanding precision. Meanwhile, advanced Spot White Balance metering and features such as the dual-axis electronic virtual horizon, high-performance optical viewfinder, and Live View shooting provide valuable freedom of composition. Highly sensitive autofocus with Multi-CAM 4800 39-point AF system: Sensitive down to -1 EV, compatible with lenses up to f/8, and featuring four AF-area modes (including 3D tracking), the Df’s AF system delivers fast and precise coverage across the frame, even in difficult lighting conditions. Spot White Balance metering: The Df enables highly accurate manual white balance settings by letting you quickly assign a Spot White Balance to the specific area of the frame you select during Live View shooting. Scene Recognition System: The camera’s image sensor and its 2,016-pixel RGB sensor provide precise data to the Scene Recognition System, which optimises exposure, autofocus, and white balance immediately before the shutter is released, ensuring sharply defined images. Large 8 cm (3.2-in.) 921k-dot LCD monitor with wide-viewing-angle and reinforced glass. Delivers bright, crisp image playback with a wide colour reproduction capacity. Live View: When shooting in Live View, optional assist gridlines for 1:1 or 16:9 image ratios help with composition, and the contrast-detect AF system boasts enhanced operability, accuracy, and speed. You can also confirm exposure simply by pressing the preview button when shooting in M (Manual) mode. No matter which kind of photography you focus on, the Df’s range of creative and practical features can accommodate both your preferred style of shooting and your creative vision. Quiet Release Mode: Perfect for discreet photography, the sound of the camera’s mirror return mechanism is noticeably reduced during the burst. Crop Modes: DX format and 5:4 ratio. The DX Crop Mode can be automatically enabled when a DX lens is attached. HDR (High Dynamic Range) Mode: Shoots one overexposed and one underexposed frame in a single shutter release. The range can be widened by up to ±3 EV for different looks, full of saturation and tonal gradation, while the smoothness of the edge where the two exposures meet can be adjusted for a more natural appearance. Active D-Lighting: Nikon’s Active D-Lighting automatically retains the details in both dark and bright areas for stunning images with natural contrast when shooting in high-contrast situations. Retouch menus: Menus include options to correct red-eye and colour balance, as well as RAW processing and resize options. Filter effects include Skylight, Colour Intensifier and Cross Screen, in addition to Soft filter effects. 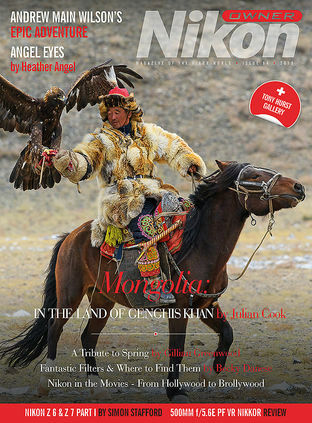 Quick retouch options include distortion control, perspective control, straighten, and fisheye. Picture Controls: Customise the look of your stills by fine-tuning parameters such as sharpness, saturation, and hue before capture. As an FX-format camera, the Df is fully compatible with Nikon’s extensive range of NIKKOR lenses, and the camera comes packaged together with a special edition of Nikon’s popular AF-S 50mm f/1.8G NIKKOR lens. Now boasting a retro look-and-feel to complement the Df camera body, this lens is one of the most popular primes in the Nikon line-up, thanks to its compact, lightweight build and its fast f/1.8 maximum aperture. In addition to NIKKOR lenses, Nikon’s vast array of photographic equipment and accessories can help you realise your ideas in countless ways. For photographers who want to get creative with light, Nikon’s industry-leading Creative Lighting System includes a range of versatile Speedlights that offer extensive opportunities for on-camera or wireless flash photography. For image transfer, the Nikon WU-1a Wireless Mobile Adapter enables photos to be transferred straight from the camera to a smart device; and support for remote shooting comes via Nikon’s WR-R10 Wireless Transceiver and WR-T10 Wireless Transmitter, which let you control key camera functions from a distance even if there are objects between yourself and the camera. Exclusive leather straps and cases are available in classic black and brown. * Approximate measurements are based on CIPA guidelines.